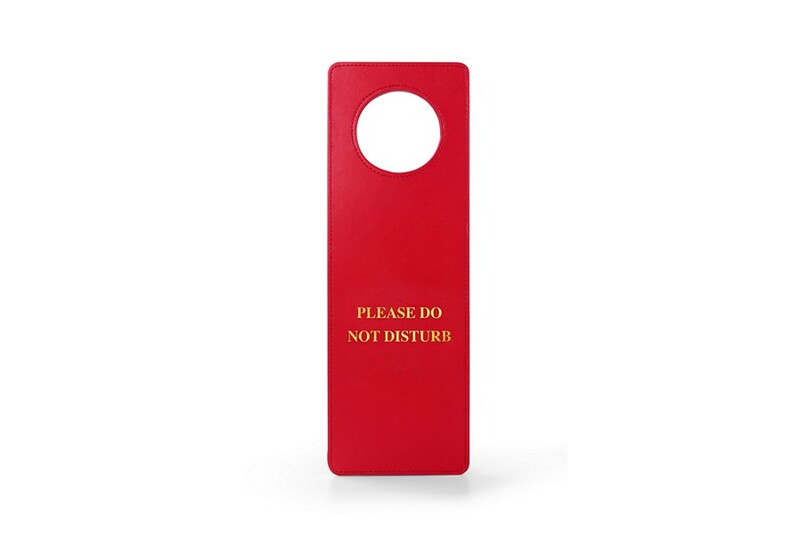 This Do Not Disturb Door Hanger is basically two rigid leather-covered cardboards stitched together expertly. 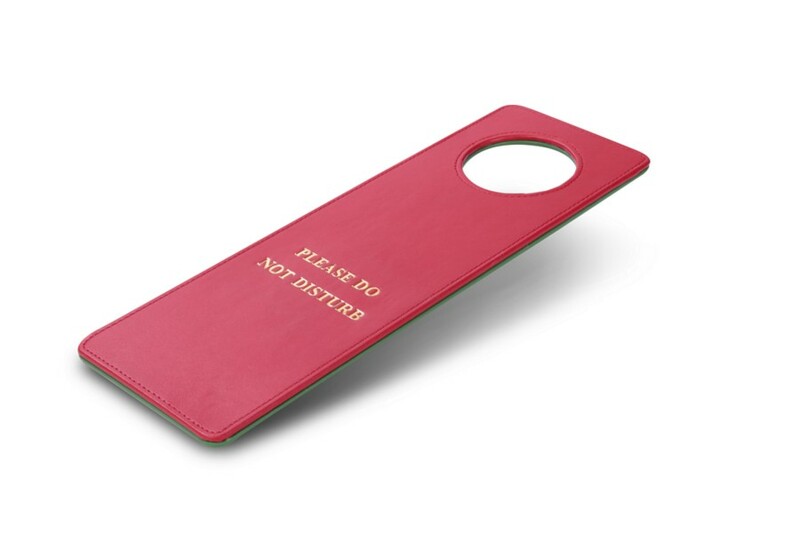 The leather do not disturb sign has a 2.4 inches-diameter round opening that allows you to slip it through the door handle of the room. 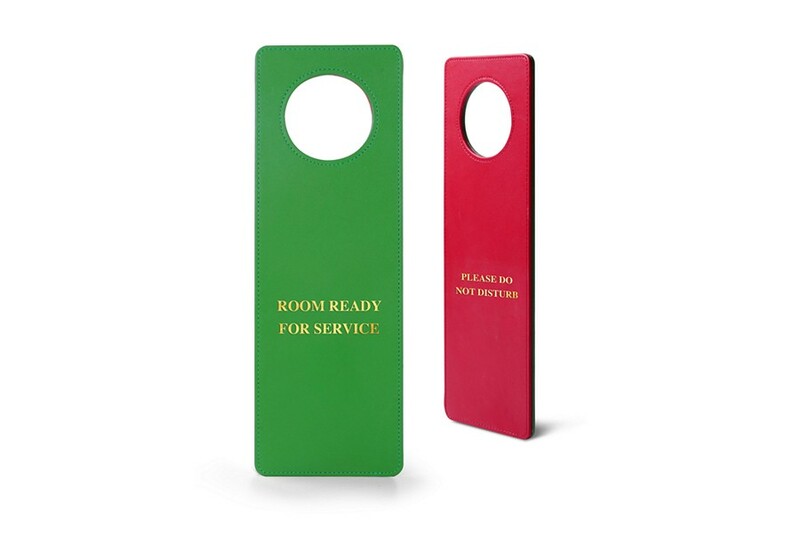 On the red side of the DND door sign, there is “PLEASE DO NOT DISTURB” engraved whilst on the other green side, you can read “ROOM READY FOR SERVICE”. Ideal for luxury hotels, villas & suites, you can even ask for the engraving of the logo of your building, for absolutely unique leather door hangers. 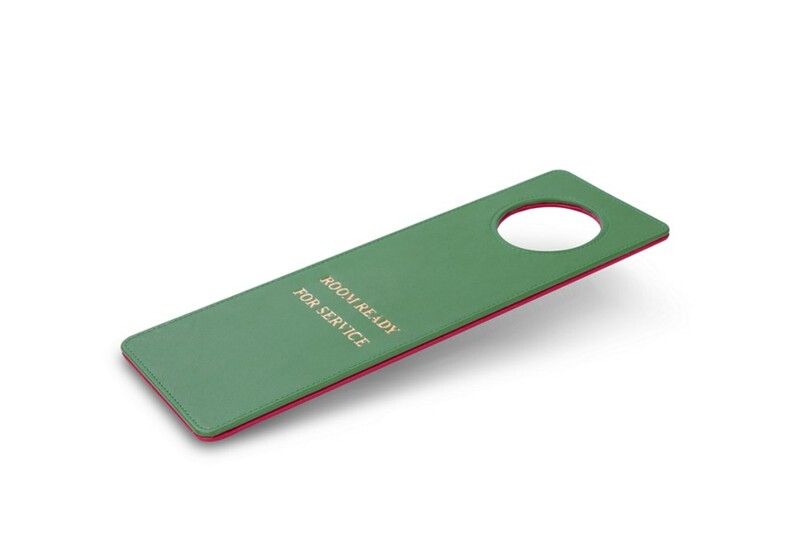 If you wish 2 different colours for the door sign, leave us a comment in the text box.